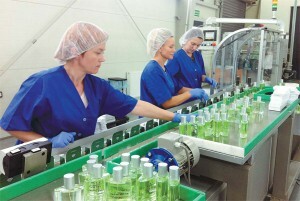 After the factories have the needed data and information to produce the Cosmetics product, they put it on the manufacturing line. In order to get the precise amounts of ingredients in each product the production line is mainly automated and barely demands any human intervention. This phase has the lowest amount of workers needed mainly because today all the factories are modern and mechanized, leaving not many options for the uneducated people to work at. After the product is being formed in either the state of solid or liquid soap, mud or shampoo it is packed and labeled. Almost every consumer is looking for the label “FDA approved” which means that the product has been approved as safe to use, it causes the factories to hold a group of workers who check the quality of the product, either damaged or expired. In the process where it is required an intervention of the human hand it is mainly for simple work as packaging. The locals who work in those “simple” works of packaging and quality control are local residents of the Dead Sea villages and mainly women who don’t have many other options to work , since The Dead sea doesn’t have major cities. 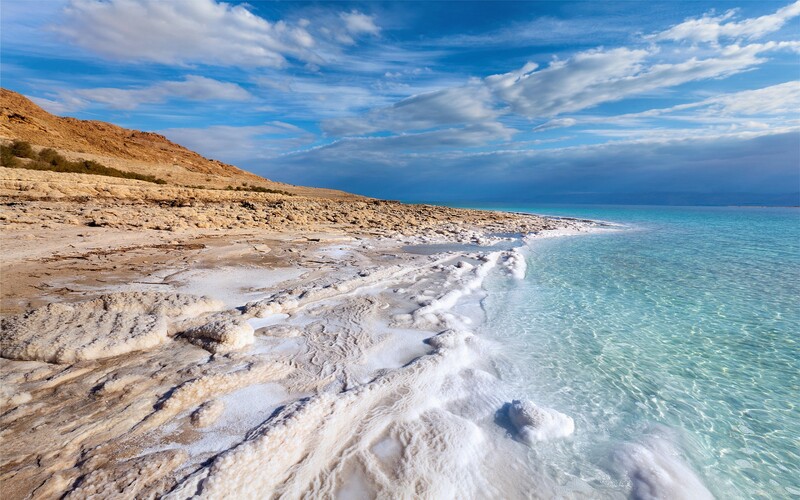 On the Contrary, the professionals who work as scientists and production managers are mainly highly educated men with a high socioeconomic status who live in expensive villages surrounding the Dead Sea (” Toegel G, 2011″).